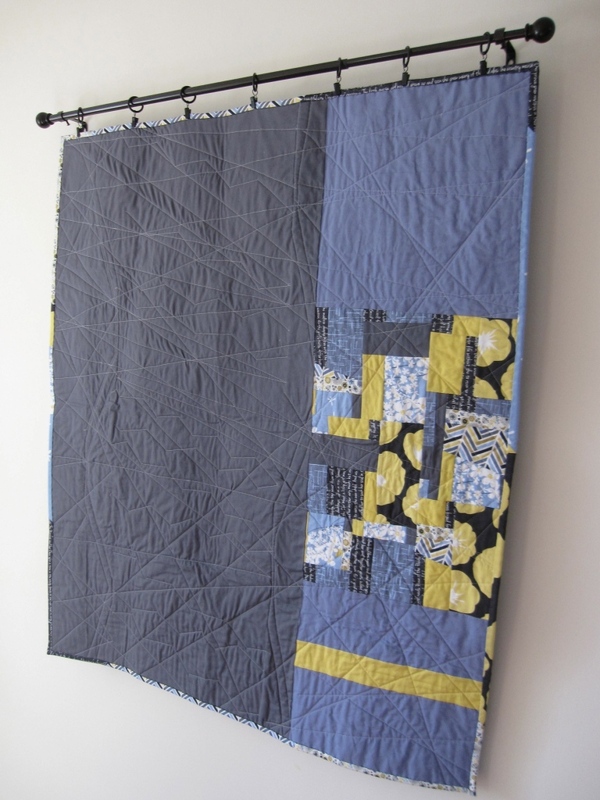 Today we'd like to share one final Madrona Road Challenge project with you - Jodi's lovely quilt inspired by shadows cast from a Pittsburgh bridge. 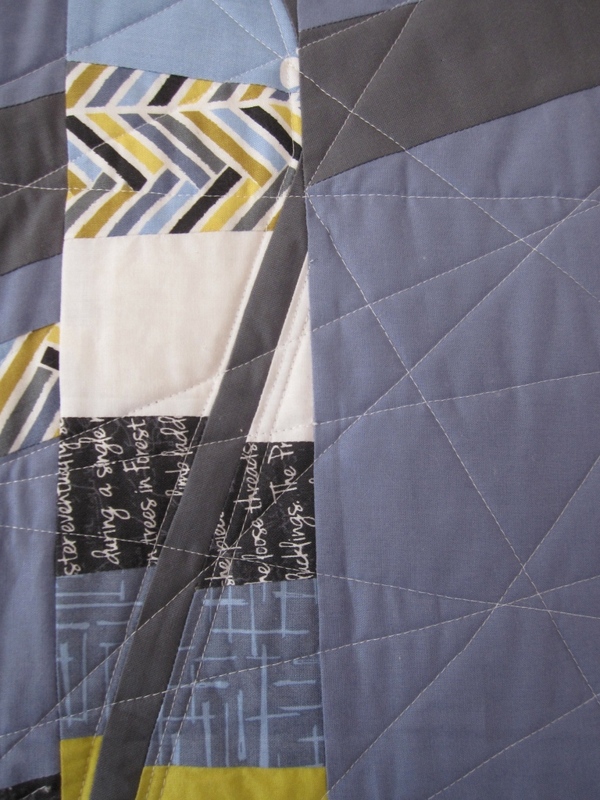 The "image" of the quilt originated from a photo of the shadow cast by the Smithfield Bridge. When we discussed our challenge theme I read the story of Madrona Road. Violet Craft, Madrona Road designer, has had many journeys including a compelling one that led her to design this fabric line. We have all been on many journeys, and I thought about the ones I have been on in my life. I contemplated- do I focus on retelling past journeys or examine the current journey of my life? Do I look at the future and imagine where my family and I will go? I decided the focus on the present- this amazing, fortunate life I have been given in Pittsburgh. Everyday I am reminded about my first visual impression of Pittsburgh as I cross the bridges traveling to and from my daily destinations. It almost always calls me back to the first time I drove through the Fort Pitt tunnel and popped out to see this almost magical, buzzing city of Pittsburgh connected by these distinct, colorful and powerful bridges. At that time I marveled at the city's history, design and ability to grow and evolve through times both good and bad. The bridges are more than connections to get from place to place. They help tell the story of Pittsburgh. Each car, train, bike, foot traveler that crosses them is a contributing factor to the city's story, and we are all literally and figuratively on a journey together or apart whether we know it or not. The quilt is far from perfect, but my life is not perfect either. I enjoyed the process of making this quilt and will likely continue to reflect on my time in Pittsburgh any time I look at it. I'm thankful for this opportunity to grow as a quilter with other quilters I greatly admire, too. Thanks for sharing your beautiful quilt with us, Jodi! 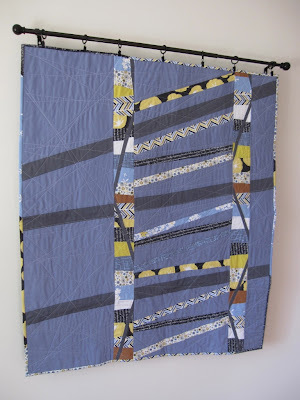 The random straight line quilting is fabulous! 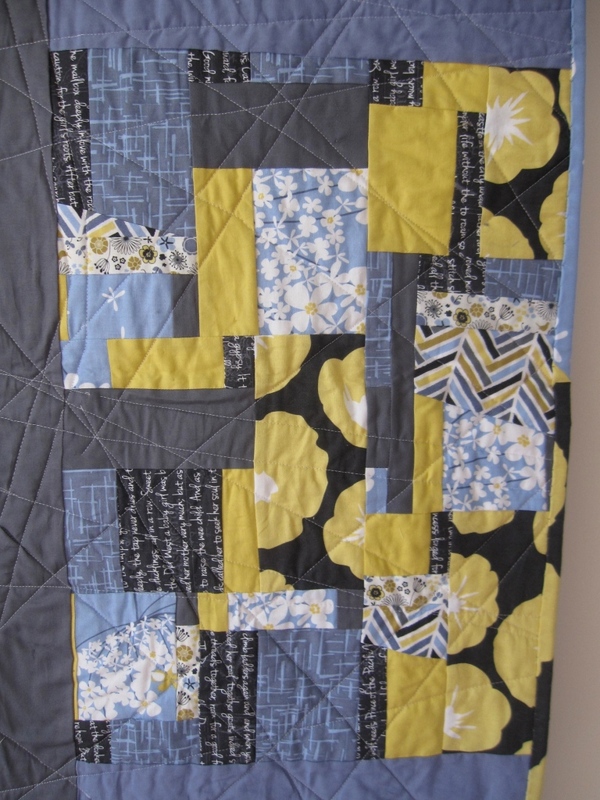 The winners of the challenge were announced on the MQG blog last week and unfortunately, none of the quilts from Pittsburgh made the cut. But there are some gorgeous projects that were selected - keep an eye out for them at the Michael Miller booth if you're going to Quilt Con.